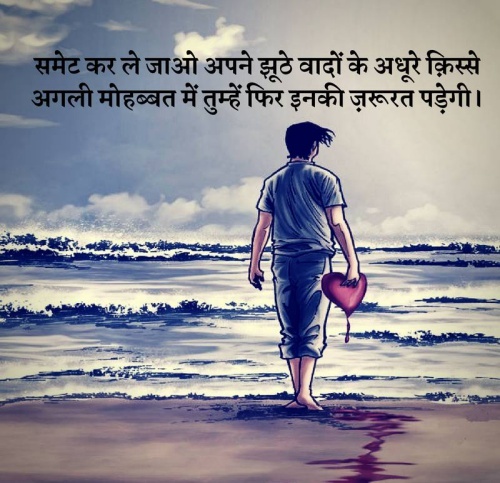 Bewafa Shayari in Hindi - If you are feeling sad and broken. And if you are still searching Bewafa Shayari in Hindi. Then you are at the correct page. As we have all the fresh Shayari you need. 45. फ़ुलो के साथ कांटे नसिब होते है, ख़ुशी के साथ गम भी नसिब होता है, यु तो मजबुरी ले डुबती हर आशिक को, वरना ख़ुशी से बेवफ़ा कौन होता है?